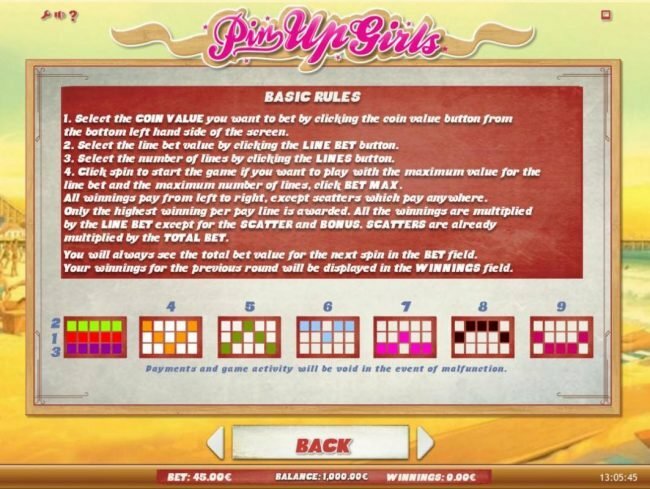 Slot review the free demo Pin Up Girls slot created by iSoftBet software with 9 lines and 5 reels. 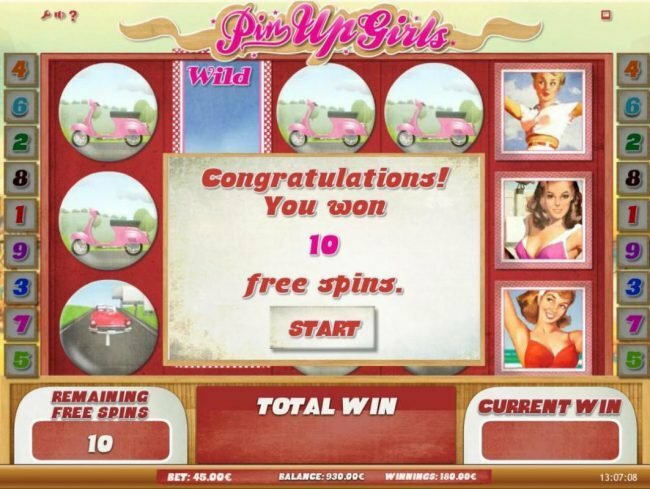 Pin Up Girls Slots has not been reviewed yet, be the first to rate this slot. 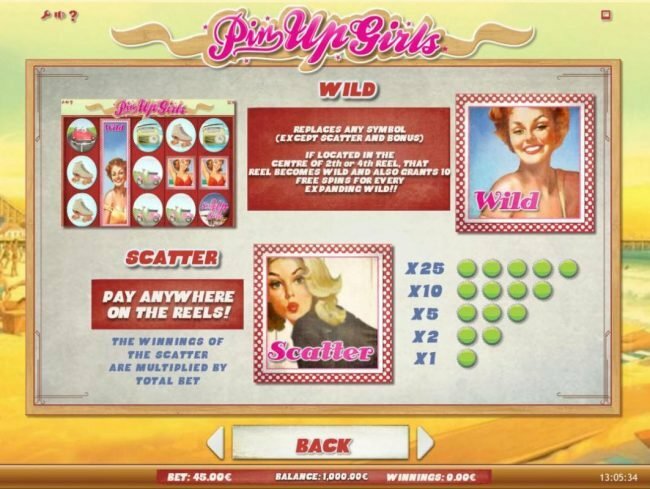 This 9 pay-line, 5 reel Slot Pin Up Girls is something special. This 50's inspired vintage pin up girls theme based online video slot displays its work in production with a nerdy guy, a girl wearing a white outfit, a girl dressed in a purple bikini, a girl dressed in blue and a girl dressed in a red bikini, and also Pin Up Girls drives it through with a radio, a rollerskate, a scotter and a red Thunderbird car putting you right into it. 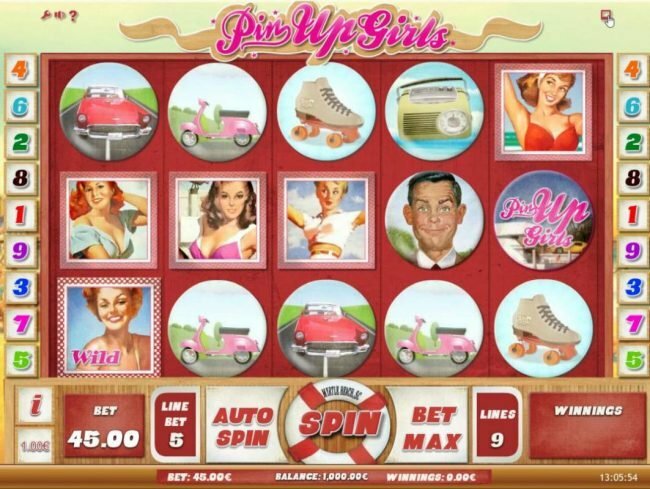 Starting to play Pin Up Girls you have the ability of playing for a minumum of $0.01 per slot spin. Additionally you also can include all 9 lines to wager a bet to the largest of $45. A huge pay out will have a few wild symbols in the pay line. 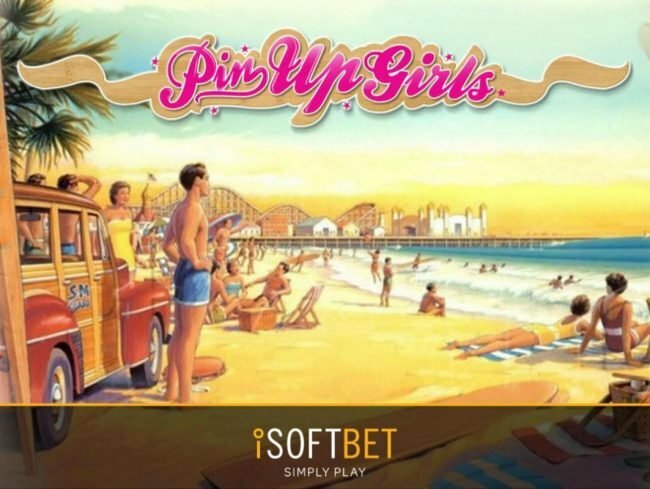 The scatter images found in Pin Up Girls are very unique, these blonde girl scatter and Pin Up Girls game logos are not required to be located on a single to win. When you know right away that your paylines are failing to match there is still a good an opening of winning big with a scatter grouping. Other slots from iSoftBet software like Area 51, Hansel & Gretel Witch Hunters and Around the World support similar slot play. 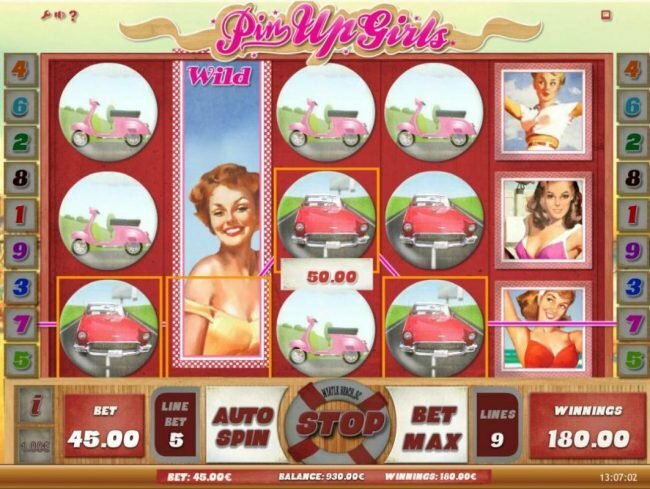 Along with other 5 reel online Video Slots, the Pin Up Girls slot is neat to play. 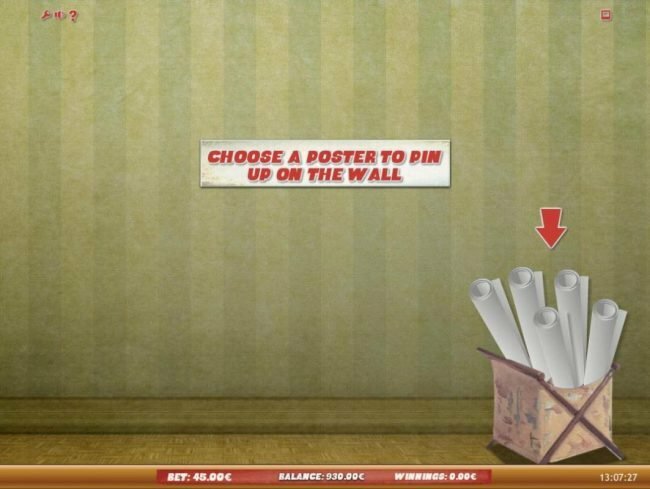 The iSoftBet guys went over the top to make this game a fun slot to review. Implementing icons like a radio, a rollerskate, a scotter and a red Thunderbird car can put you into the 50's inspired vintage pin up girls experience. This is one of those Slots that kept my interest for a while as I was playing it. 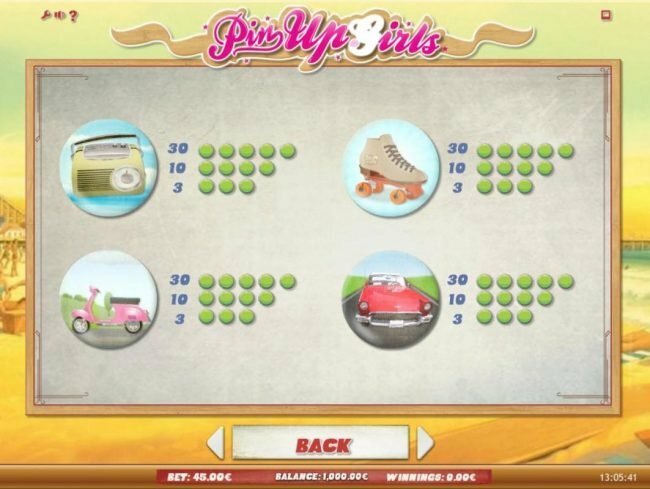 While playing Pin Up Girls, you can do well with your balance, this is done by scoring a slot Bonus feature win! Following are the details on the Bonuses you are able to get. 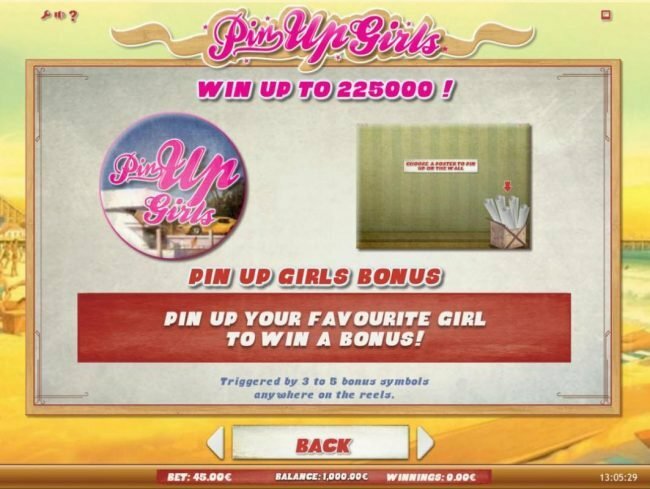 Get three to five Pin Up Girls scatter symbols anywhere on the reels activates the Pin Up Girls Bonus feature, select your favorite girl to win a bonus prize. This will start the Pin Uip Girls bonus Game. 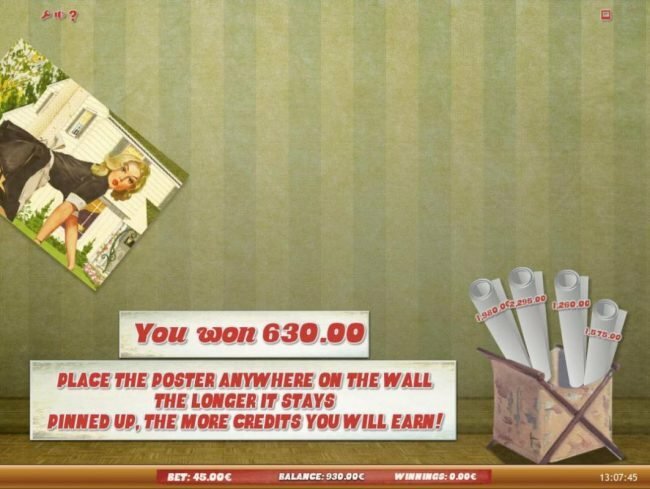 If you appreciate big sums of money, the Free Spins would appear to have been designed for you. It's as easy as getting getting a red head wild symbols on reels 2 or 4, that reel becomes wild and grants 10 free spins for every exanding wild to launch. I have to award Pin Up Girls 5 of 5 stars for the feature games. The opportunity that you can win so much more than bet is a great part of bonus rounds.